You probably have a GPS system in your car, but do you have a GPS system for the road of life? The Dashboard Eyeball wears a fez and represents all the illuminated, ancient knowledge of fraternal organizations. Of course, it also looks cool to have a freaking eyeball on your dashboard, so if you're not into all that symbolic stuff, you should still buy it. 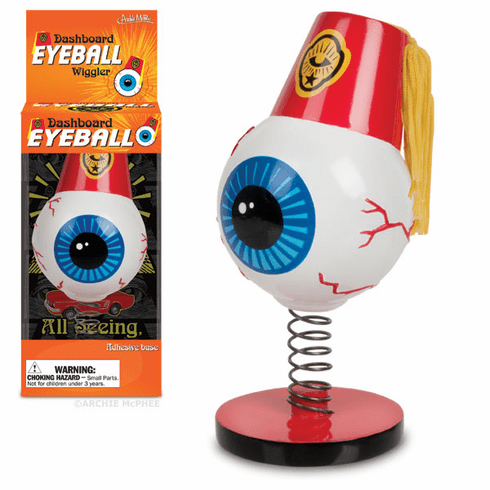 The hard vinyl Dashboard Eyeball is 4-1/2" (11.4 cm) tall and is mounted on a metal spring for bouncy action. Adhesive base.